Remember that massive Snapchat update that pissed off basically everyone? Well, Snap is pulling a bit of an about-face and issuing a redesign of the redesign after receiving nothing but a barrage of boos from its once loyal userbase. The latest update, which recently started rolling out to iOS users as pointed out by the Los Angeles Times, ditches the “Friends” page that mashed up chats and stories. The content will once again be made separate, and chats will return to being listed in chronological order so you will no longer be at the whim of Snapchat’s mysterious algorithm that tried to guess who you might want to talk to. When firing up the redesigned app, users will once again be directed straight to their camera. Conversations with friends can be viewed by swiping to the left, while Stories now live on a dedicated page that is accessed by swiping right. Stories are also now presented in feeds: Friends; Subscriptions, for publishers and people you follow; and For You, the recommended content surfaced by Snapchat for you to watch. The change, which was first floated by Snapchat in February and made official by Snap CEO Evan Spiegel during the company’s first-quarter earnings call on May 1st, seems to signify Snapchat’s intention to listen to its users—but only kinda. Snap knew basically from the day the update first dropped that things were going to go poorly, as complaints poured in from just about every region the company rolled the update out to. By the time it got to the biggest markets, its fate was already sealed. 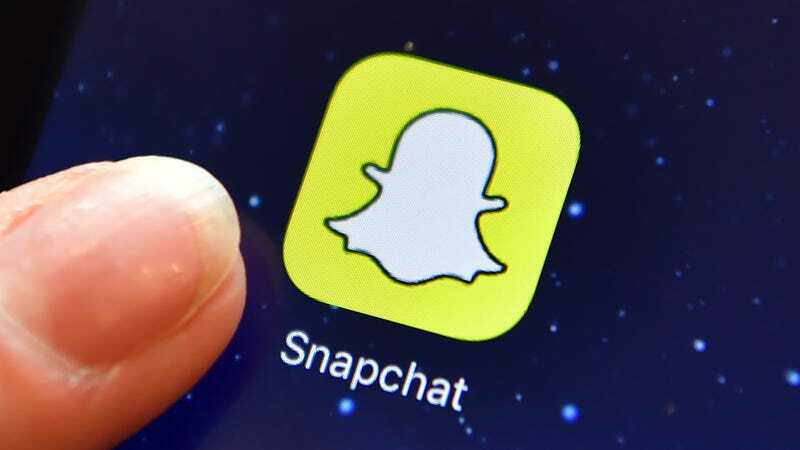 More than one million people rushed to sign a petition to make Snapchat go back to its previous interface, and users started posting scathing reviews. TechCrunch reported 83 percent reviews left for the new Snapchat were negative. Snapchat was eventually forced to acknowledge the horde of upset users, a group that included once-prominent Snapchat user Kylie Jenner, but insisted the redesign wasn’t going anywhere. What seems to have turned the company around on its stance wasn’t user complaints but rather the fact the update failed to increase the company’s revenue. According to its latest earnings report, user growth has slowed since the update dropped and pretty much only old people like it—not exactly Snapchat’s target demographic. Snap is losing money and not growing, which are two things a company should probably not do at the same time if it plans to stick around for awhile, especially if its only other innovative idea is another wearable camera. The redesigned redesign probably isn’t going to save Snap, especially with Instagram continually encroaching upon its territory and showing that its signature features are easily replicable. Snapchat users might be more forgiving on the whole than, say, Rhianna was of the apology she got from the app after a distasteful advertisement, but they’ll have to actually get their hands on the update first. Users on iOS are getting the change, but there’s no word on availability for Android.